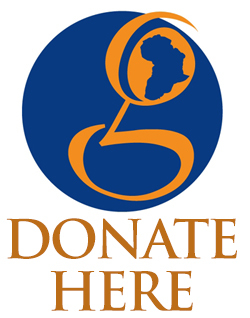 Global Philanthropy Alliance is dedicated to supporting young social entrepreneurs in Kenya, South Africa and Nigeria. Social entrepreneurs have ideas, skills, and experience effecting change in their own communities. We know that they often lack financial capital to accomplish their goals and have learned that they also need technical assistance to help them to succeed. Are you a grassroots organization? Global Philanthropy Alliance encourages grant proposals from grassroots organizations who are working in the areas of community development, youth empowerment and local philanthropy. Organizations must be small, registered NGO’s based in Nigeria (near Lagos), Kenya (near Nairobi) or South Africa (near Johannesburg/Pretoria or near Cape Town). Are you a social entrepreneur? GPA is committed to supporting young social entrepreneurs and innovative ideas. Our grantees use an innovative approach and business practices that create value and solve problems in their community. Is your organization youth led (or, youth empowered)? GPA will fund initiatives led by youth or that empower youth AND promote social entrepreneurship, community development, or economic development. Organizations must have reliable email address and ability to submit the application and other documentation in English, electronically. GPA supports specific project grants and overhead costs (staff time, rent, etc.) associated with the project however, projects MUST have a programmatic focus. GPA supports capacity building, training and other organizational growth activities in addition to its programmatic interests. First grant funding will not exceed $5000.00 USD per year. GPA seeks to maintain funding relationships with grantees over time with funding growing in size and scope therefore, after the conclusion of a first grant, grantees may apply for a second grant from GPA which may not exceed $10,000.00 USD. GPA is accepting grant applications for NIGERIA only (your program must reside in the LAGOS area only, we will not accept a request from outside this area). Please consult our general website, the grant application and in particular the information above to make certain you meet GPA criteria for funding. If you have any questions about your eligibility for funding please contact Jamie Brooks, GPA Executive Director. Please consult our general website, the grant application and in particular, the information above to make certain you meet GPA criteria for funding. If you have any questions about your eligibility for funding please contact Jamie Brooks, GPA Executive Director. Please send your materials or inquiries to: grants@globalphilanthropyalliance.org. Grant submissions will be acknowledged within 3 days by our Executive Director, Jamie Brooks who may follow up with additional questions. If you fail to receive an acknowledgement, please contact GPA Executive Director, Jamie Brooks about the status of your application. Grant applications will be forwarded for review to our Africa Advisory Board, a dedicated team of professionals living and working in Nigeria who will review your proposal. Funding decisions typically take at least 90 days. Please also note: If an organization is chosen tor receive either first or second level funding, GPA will require a post-approval form, grant agreement and documentation of NGO status. In addition, GPA may request a site visit prior to funding. A site visit is required prior to funding second grants. This site visit may be conducted by the Africa Advisory Board (AAB), a member of the AAB, a member of a country committee, or a partner organization. GPA does not fund individuals, fundraising efforts, ongoing service provision, endowments or general operating costs not associated with a grant.